Ballet Pointe Shoes - Too Tall? I love ballet more than anything! I danced it for two years when I was 3-5. Now I want to start it again. I'm turning 15 this month, and starting a teens/adults beginner ballet class also this month. My dream since I was little was to dance on pointe one day. But, people keep telling me that I'm too tall for ballet or pointe (I'm 5'11''.) Is it true that since I'm starting late, and tall that I can never be a good ballet dancer? Thank you for your query, it is great to hear from you. You shouldn't let your height inhibit your confidence or dream to dance on pointe. Of course you can still be a good ballet dancer. 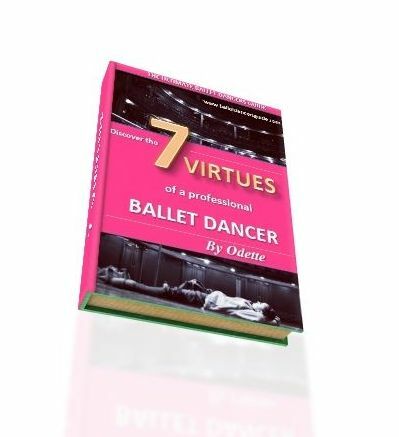 In terms of becoming a professional ballet dancer may prove harder, as many ballet companies have a specific height range so that the dancers can fit into the corps de ballet. However, you don't always have to be a professional dancer to experience the joy that dancing and pointe work can bring. You can still dance on pointe one day and fulfill your dream, even if it's just for your own satisfaction. Comments for Ballet Pointe Shoes - Too Tall? Don't forget Julie Kent! She's 5'10"
I know how you feel. I'm fourteen and 5' 9" and when I finish growing I will be at least 6'. People always told me that I was too tall to do gymnastics, so I quit. I am now the tallest person and latest starter in my pointe class. No matter what other people tell you about your height, keep dancing for as long as it makes you happy. You are perfectly capable of excelling on pointe. Good luck on pointe from a fellow tall person! Oh thank you so much guys you share with us some great dancers name. All dancer are really great by nature but i specially like Yuan Yuan Tan. He is really great dancer in my point of view. Thanks for sharing this interesting blog with us. My pleasure to being here on your blog. I have searched couple of days and found some interesting writing on it. I love your blog because it totally full of informative posts. You are nice one and thanks for sharing.